LOWER MANHATTAN (WABC) -- Police said a woman who reported being slashed in Lower Manhattan Thursday afternoon has admitted that she cut herself. 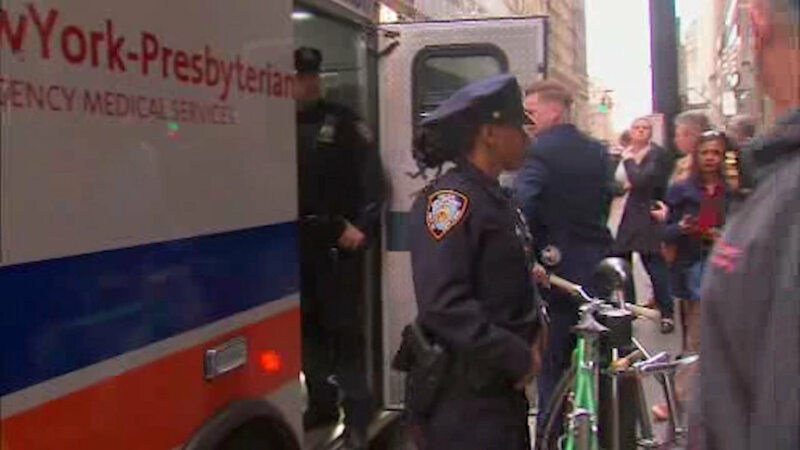 Authorities say the 20-year-old woman reported a random attack around 4 p.m. Thursday, claiming she had been slashed by a stranger in front of Trinity Church, steps from Wall Street. "She was walking northbound on Broadway, an unknown male grabbed her by the arm, turned her and slashed her on the left side of her face," Assistant Chief Bill Aubry said. "She reported that when he slashed her, he made a statement to the effect that she was a terrorist, and he continued to flee northbound on Broadway." The woman is of Middle Eastern descent. She went to a cosmetology school she attends on the 15th floor of a building down the block, where she called her father, who called 911. Authorities say she has a history of cutting herself dating back to when she was a teenager, and that surveillance video recovered from the Make-Up Designory school at 65 Broadway shows her entering a bathroom on the 15th floor. When she came out, she had a cut on her face. The woman admitted what happened when detectives confronted her with the video. Detectives also interviewed family members, who told them of her history. She is undergoing a psychological examination at Bellevue Hospital.